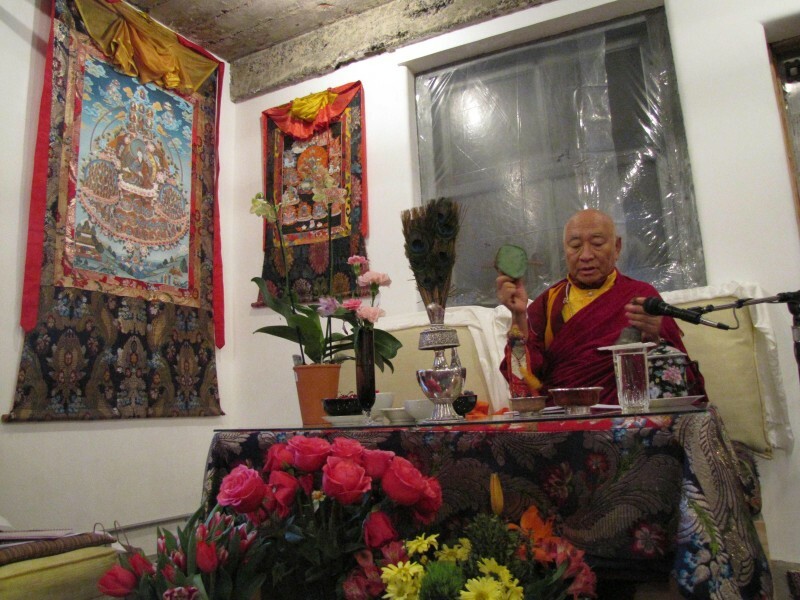 NYC New Years Eve Dakini Puja of H.H. Dudjom Rinpoche’s Khandro Thugtik with Ven. Khenpo Tsewang Rinpoche! You’re warmly invited to join Ven. Khenpo Tsewang Dongyal Rinpoche for a wonderful New Years Eve Dakini Puja, which includes a lovely dinner and fundraising party for the PBC Monks and Nuns in Sarnath, India! Featuring Feast, Festivities, and Joyous Company in support of the PBC Nuns and Monks in Sarnath, India! 4:00pm: Dakini practice will begin with the very special Khandro Thugtik practice and tsok ceremony from His Holiness Dudjom Rinpoche. Please feel free to bring fresh, unopened tsok food offering for the Dakini feast offering. 6:00pm: After concluding Dakini practice we’ll enjoy the feast with a New Year’s Eve Sangha dinner. We hope you will join us for joyous company in support of the PBC Nuns and Monks in Sarnath, India! Everyone is welcome to attend any part of the day’s activities.
. . . Followed by the 31st Annual New Year Day Vajrasattva & Vajrakilaya Practice with Khenpo Tsewang Rinpoche! 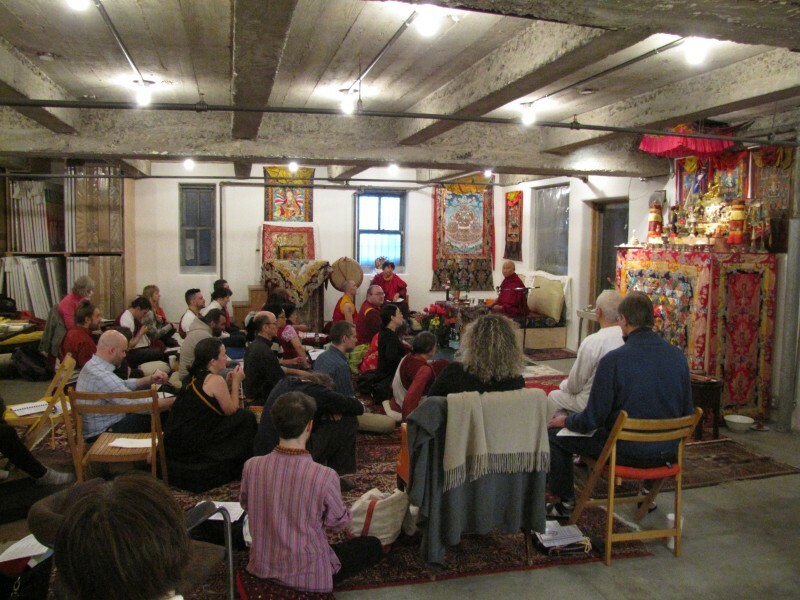 Let’s begin the New Year with Vajrasattva and Vajrakilaya! This Vajrasattva fire puja practice mainly focuses on pacifying negativities and obstacles while increasing prosperity, joy, longevity, peace, and realization. It is a terma of Terdak Lingpa. Vajrakilaya is the embodiment of all the buddhas’ activities and is one of the most famous practices of the Nyingma school. Practicing on Vajrakilaya removes our obstacles, eases the flow of Dharma activity, and reveals our buddha-nature. We have every reason to be happy and joyful. With confidence and determination, we should explore and glorify the beauty of our nature. It is our greatest responsibility during this life.